Cardi B made history at Sunday night’s Grammy Awards — and understandably got pretty emotional. 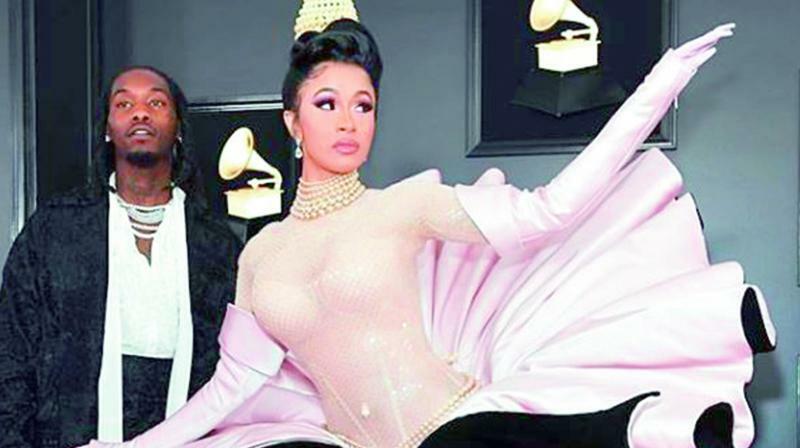 According to reports on EntertainmentWeekly.com, Cardi became the first solo female artist to win Best Rap Album at the Grammy. With the victory for Invasion of Privacy, the 26-year-old rapper joined Lauryn Hill as the only female winner in the award’s 23-year history. Hill won in 1997 as a member of The Fugees. The rapper also gave a shout out to artists that collaborated with her on the album including J. Balvin, Kehlani, Bad Bunny and the Migos.